Parliament is in disarray as the Speaker, Ms Rebecca Kadaga, suddenly abandons chairing the day’s afternoon session when emotions ran high and chaos descended upon a scheduled debate on the now-controversial oil Bill. Ms Kadaga stormed out through a side door when it became clear that she had lost control of proceedings. The Sergeants-At-Arms was seen taking position beside the ceremonial Mace moments before she suddenly exited the chambers as MPs engaged in a chaotic exchange. …There is still no indication whether Parliament is still in session – minus a Speaker to chair proceedings – or it has been adjourned. Some have suggested that the Anti-Homosexuality Bill might be used as a diversion to the controversial oil bills, which empowers a single person in President Yoweri Museveni’s cabinet to negotiate and sign contracts for oil exploration, drilling, refining and transportation. The bills also provide virtually no oversight or transparency in the process, which is sure to cement Uganda’s reputation as eastern Africa’s most corrupt country. If Parliament does clear the two Petroleum Bills, then the Anti-Homosexuality Bill may become politically useful to many members of the government who will want to distract the public from the massive theft of oil wealth that is about to take place. 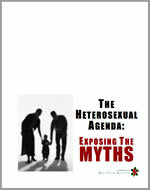 This may explain why the Anti-Homosexuality Bill is next on the list. Which means that Uganda’s oil policy can be summed up this way: yes, we’re going to steal your oil wealth — but look over there! Homosexuals!!! But this is a godly nation that has repented of its sins and is establishing a holy government. Surly they wouldn’t steal resources. He has some newly found cred.